Today would have been Freddie Mercury’s 70th birthday. Wow. It’s hard to imagine the flamboyant exuberant performer as a man of 70. I hope he’d still be wearing sparkles and fur and playing up to the crowds. I hope he’d still be touring with Queen. I hope I would have got to see him, at least once. I was only a teenager when he died, and was very very moved and upset. 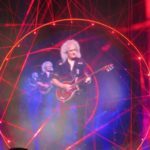 I’d grown up listening to 80s Queen in my Dad’s car – it was part of the soundtrack to my childhood. Seeing him so poorly, so frail, so unrecognisable in the last video for “These Are The Days Of Our Lives” was so sad. HIV and AIDS was still a fairly unknown and uncommon disease at the time, and unfortunately was a death sentence. But he was a performer right to the very end. 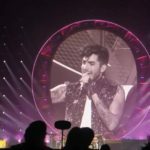 When Queen announced a tour with Adam Lambert as the front man, I knew I had to go. A lot of die hard fans were up in arms, and didn’t agree with another singer. And of course I, and any Queen fan, would have preferred to see the band in full, with Freddie at the helm. But with that not being an option, I still wanted to soak up the songs I’d grown up with in a concert setting. It was an outstanding gig. 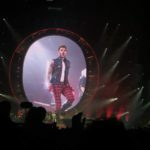 Adam Lambert is a more than worthy front man – theatrical, camp, full of energy and with an amazing voice. 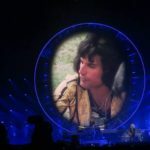 I read an interview with Brian May where he said that Adam could reach some notes that even Freddie couldn’t reach live, and that he’d hate him a little bit for it! But it’s important to note that that Adam wasn’t trying to replace Freddie, and neither were the band. 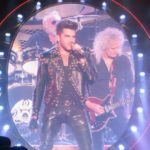 They toured as Queen with Adam Lambert. 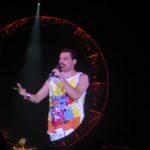 There were homages to Freddie during the show and a fantastic segment where Freddie was shown singing and Brian played the guitar alongside him. Freddie Mercury is irreplaceable. The band knew that, Adam Lambert knew that and the audience knew that. But the chance for a legion of newer – and older – fans to enjoy the music and the performance was a great one. So Farrokh Bulsara, I hope you’re enjoying your party in the sky, and rocking out hard. 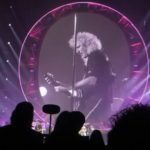 Have you ever seen Queen live? Let me know!